Colorful Places ? Our planet is full of spectacular natural landscapes. We invite you to visit some of the most colorful sites with us. Corners that look like they are taken out of a painting because of their incredible tonalities. That are able to take the breath away from those who have the happiness of observing them. Hitsujiyama Park is considered one of the most spectacular earthly paradises in Japan . Beautiful natural colors merge with the intense blue of the sky to delight all your senses. This is one of the best colorful places of the world. 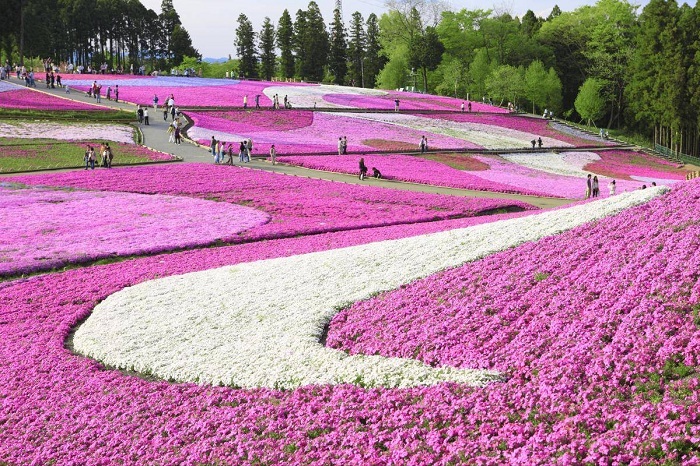 It is also known as “the park of infinite flowers”, since Hitsujiyama has about 16,500 square meters filled with a wide variety of flowers. The best known is the Moss Rose flower, white, magenta and pink. More than a thousand cherry trees complement the landscape . Highlights Yoshino cherry tree, which offers flowers with two petals. Hitsujiyama Park is the ideal place to relax and enjoy one of the most impressive and colorful natural landscapes of our planet. 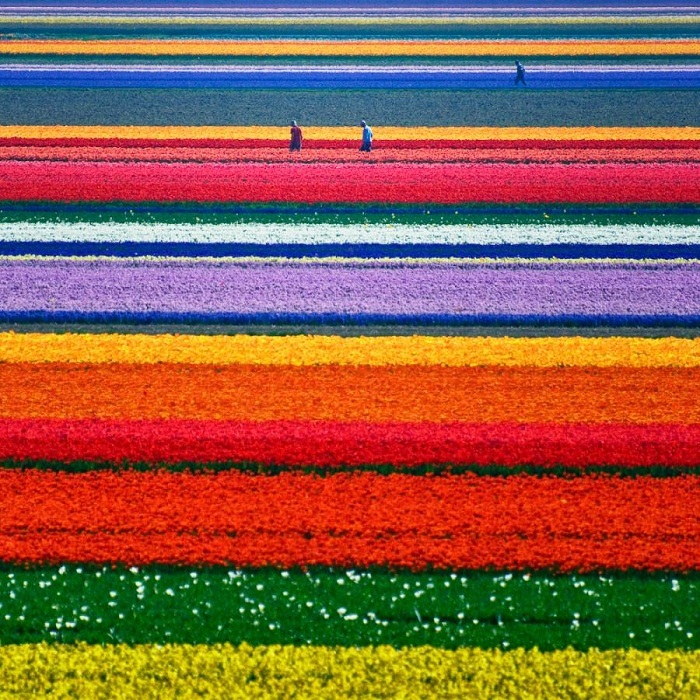 A painting does not manage to have as much color as the fields of Dutch tulips . Come in spring to the province of Flevoland and the Kop van Noord-Holland region and enjoy the most extensive tulip cultivation in the Netherlands. Only 30 minutes by car from Amsterdam you can reach these spectacular regions. From a distance you will be able to observe spectacular rows of intense colors perfectly delimited. When approaching you will discover the most beautiful tulips. This is undoubtedly one of the most beautiful visions of our planet. This is one of the best colorful places of the world. This Italian municipality is one of the most charming in the province of Naples . With just over 10,000 inhabitants, Procida’s main activity is tourism and the cultivation of citrus fruits. 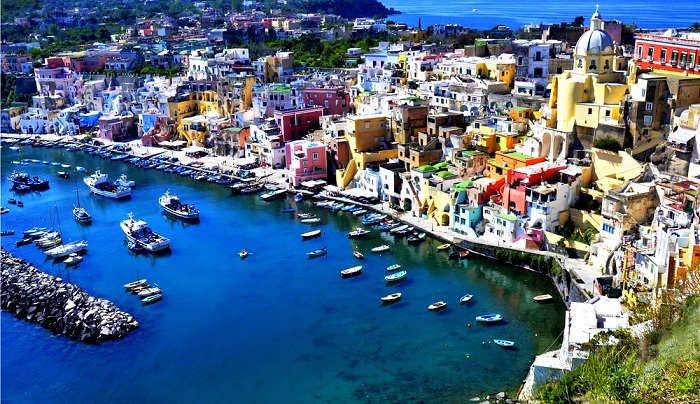 Procida is on our list because this little island is one of the most colorful in Italy . The facades of its picturesque little houses are painted in different colors, especially blue, pink, yellow, orange and white. Colorful facades that combine perfectly with the intense blue of the sky and the turquoise of the sea . The boats of the fishermen, the small restaurants and romantic cafes complement the picture of this charming island. This is one of the best colorful places of the world. In the spring we can find in Luoping, China , one of the most beautiful and most colorful landscapes of our planet. 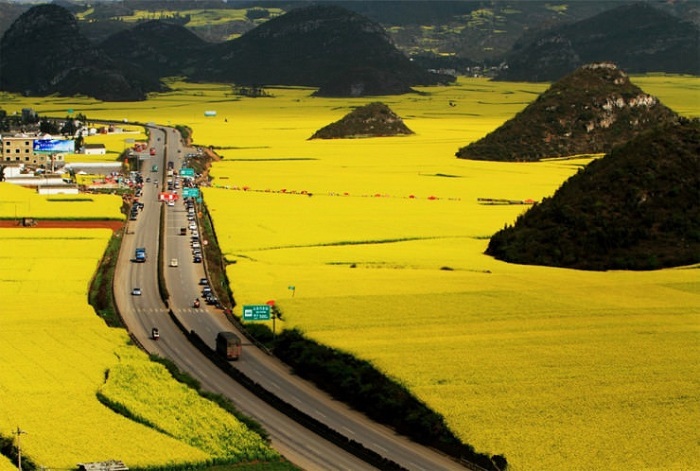 It is a spectacular golden sea that covers part of the region product of the flowering of rapeseed. A plant that is grown mainly as fodder. It derives a vegetable oil suitable for human consumption and also biofuel. The Valley of Flowers National Park, located in Uttaranchal, India, was declared a World Heritage Site by Unesco. In this beautiful valley you can find a wide variety of flora and fauna , which gives spectacular colors to the landscape. The Valley of the Flowers has a great diversity of flowers, standing out mainly the papaveráceas, the orchids. The calendulas or margaritas that cover great part of the ground. The landscape is complemented by the alpine forests of birches, azaleas and rhododendrons. This is one of the best colorful places of the world. Alberta is one of the most beautiful and touristic Canadian provinces, its impressive landscapes and colors cannot go unnoticed. 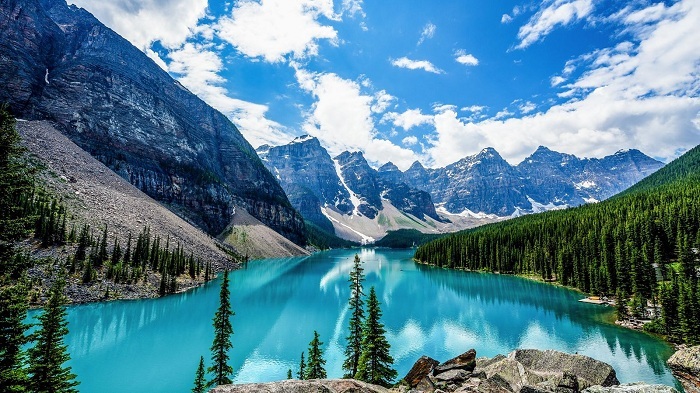 With a rich flora and fauna, Alberta is consolidated as one of the main tourist centers of the country. The spectacular lake Lake Louise is considered one of the most beautiful in the world and the intense turquoise color of its waters contrasts with the snow-capped mountains around it. If you want to enjoy this landscape to the fullest, we recommend you to stay at the famous Fairmont Chateau Lake Louise hotel, where you can enjoy this spectacular and unrepeatable view. In every corner of the planet we can find spectacular and colorful natural landscapes that contrast in many occasions with the wonders created by man. Which of these places would you like to know?